It has been a big month for Merlin Diamonds (ASX:MED). Here’s a company which has proven producing assets, an established resource, existing and increasing production, relatively predictable commodity prices and an executive chairman who has been involved in some of Australia’s largest mining projects shaping the company’s strategy. MED was very active in July as it looks to capitalise on all of the above advantages. Firstly, it received approval from the Northern Territory Government Department of Primary Industry affirming its amended Mine Management Plan for the Merlin Mine Project. With amendments approved, MED was given the greenlight to commence mining five pits within the projects including Excalibur, Gwain, Ywain, Ector and Kaye. Following the approval, MED announced that it had recovered 32 pink diamonds totalling 6.639 carats from the Merlin Diamond Mine, previously owned by Rio Tinto. This was seen as a good indicator of significant discoveries to come when mining commences at the five pits mentioned above. Mining operations are now expected to be ramped up as contractor Rusca Bros Services begins extracting fresh ore from the first pit. The ramp up of activity will lead to the doubling of ore processing capacity with the installation of a new scrubber. Processing will leap from 50 tonnes per hour to 100 tonnes per hour, thus doubling the production of diamonds. 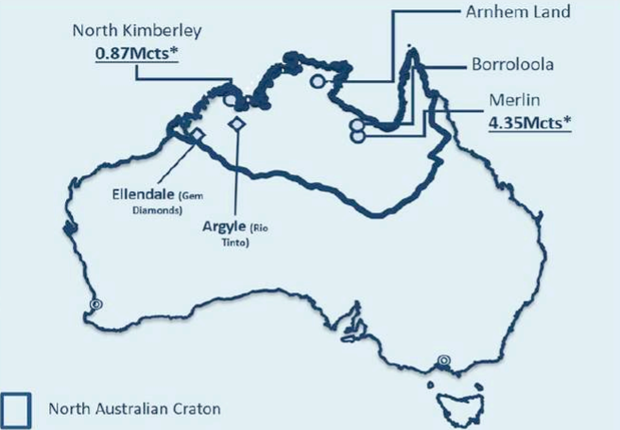 Producing globally recognised resource quality, (MED is responsible for delivering some of the best grades in Australia) and with exploration accelerating, as well as the introduction of new technologies, MED should be able to substantially increase its production while tempering costs. Of course MED remains a speculative stock and investors should seek professional financial advice if considering this stock for their portfolio. All of this activity has led to the release of a significantly positive broker report from Empire Capital Partners. While brokers have a reputation for sometimes getting their price targets wrong, they would have to have made a complete hash of things with MED given its current momentum, with their target implying a near ten-fold share price increase over the next 12 months. Perhaps it is because there is so much focus on battery metals such as cobalt and lithium, or a recovering oil price, or perhaps trying to find the most oversold base metal that MED has been flying under the radar. However, MED isn’t flying under the radar because it isn’t worth looking at – most investors may potentially seriously consider the chance of getting a piece of a company with forecast 2019 underlying earnings (EBITDA) of $61.4 million and a market capitalisation of less than $30 million. Sometimes investors shy away from companies involved in producing precious gems, largely because of a lack of information due to the limited number of players and geographic regions where the gems are located. The other issue that detracts from interest in the diamond sector is that the commodity isn’t traded on a daily basis, rather they are bought and sold at auctions which aren’t held on a regular basis. As such, diamond prices can’t be tracked the same way as copper, gold or oil, and as we will explain later, the pricing is far more complex than a tonne of copper, an ounce of gold or a barrel of oil. From an Australian investor’s perspective, diamond companies are probably seen as even more obscure given that most of the world’s diamonds are located in Africa and South America. However, that’s not to say that Australia can’t be a prominent player in the diamond industry. Certainly, MED’s Merlin Mine is and has proven its worth in the past, particularly due to Rio Tinto’s past success. Given MED’s current level of activity, it may not be flying under the radar for too much longer. Indeed, there have been some signs in the last three months that the company is being targeted. Empire Capital Partners has concluded that the Merlin Diamond Project has very attractive project economics, estimating annual EBITDA of $61.4, applying certain assumptions regarding production, the diamond price and average pipe grades. Its estimates apply a price of US$300 per carat, at an average pipe grade of 24 cpht, and an annual processing throughput of circa 700,000 tonnes for an estimated 134,808 carats per year over a 10-year forecast. Again, broker projections and price targets are only estimates and may not be met and should not be used as the basis for an investment. Those considering this stock should seek independent financial advice. However, it is very difficult to predict the average price per carat that a diamond producer will achieve in any one year. It often sways dramatically due to the large impact of revenue generated from the sale of premium stones on a year-to-year basis. Take a look at these for example, and you can imagine how much they could skew the price per carat achieved in any one year. As Empire Capital Partners analyst Peter Bird pointed out, MED has an impressive resource with the scope for growth, particularly given the number of kimberlite pipes that are yet to be fully explored. Bird noted, “From the various Kimberlitic volcanic pipes under MED’s tenure, the company is estimated to have an Inferred Mineral Resource of 15.93 million tonnes and an Indicated Resource of 3.1 million tonnes. In Bird’s view, MED is placed in a well-known and understood set of kimberlite deposits. He highlighted that the company has identified a total of 13 kimberlite pipes, two of which, Sacramore and Palomides (PalSac), have a predicted mine life of up to 12 years. In addition to the highly prized crystal-clear diamonds, MED is also proving-up the possibility of the rare and highly prized blue, pink and green coloured diamonds. Bird believes this indicates a high-value project with plenty of diversity in colouration type. While many companies have inflated valuations because they are in close proximity to a recognised deposit, MED can actually stand up and say it owns a deposit that has strong historic production and is actually producing high grade diamonds, not just kicking rocks. The Merlin Mine story dates back to the early 1990s when the first discovery of diamonds by Ashton Mining Ltd occurred after systematic exploration between 1991 and 1994. After periods of trial mining and feasibility studies, Ashton Mining Ltd was taken over by Rio Tinto (ASX:RIO). Merlin was too small to fit into the asset portfolio of Rio Tinto and was later sold off in 2004, as even at that stage it had a market capitalisation of circa $50 billion. With the mining boom unfolding in 2004, Rio’s attention turned to commodities like coal, iron ore and base metals that were used by manufacturing powerhouses such as China. Consequently, Merlin hasn’t inherited Rio Tinto’s poor relation, rather it has the right size and flexibility to manage what could potentially be a highly profitable asset. As a backdrop though, it is worth examining the performance of the mine under previous owners. 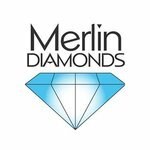 Over a five year period, between 1998 and 2003, nine of Merlin’s 13 kimberlite pipes were subject to open-pit mining, producing more than 500,000 carats of diamonds, valued at $132 per carat. During this short operational life, the Merlin Diamond Project was renowned for the production of top quality white diamonds and large specials, the largest being 104.73 carats. Whether it has the same success or not remains to be seen, so investors should take all publicly available information into account before making an investment decision. 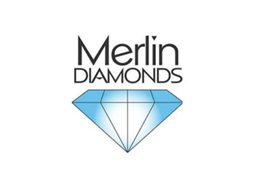 Merlin Diamonds, formerly North Australian Diamonds, acquired the project from the Rio Tinto Group. Since MED took over, resource definition drilling and trial production increased the known JORC Resource of diamonds to be the second largest in Australia, surpassed only by Rio Tinto’s Argyle Diamond mine. Over the course of the past six months, MED has been actively recovering diamonds from ore stockpiled on the run of mine pad. 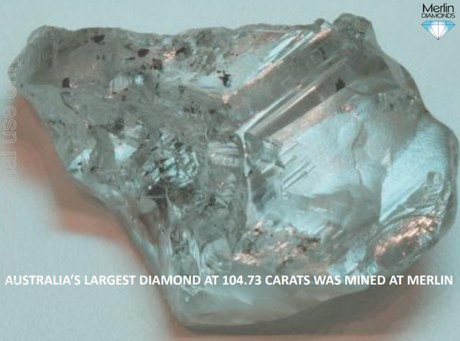 Over 1000 diamonds have been recovered, which included a 7.313 carat fancy yellow diamond, an 18 carat cognac diamond, along with multiple blue, green and pink diamonds. As early as March 2017, Merlin recovered five green diamonds from the Kaye pit, amongst them ‘intense greens’. 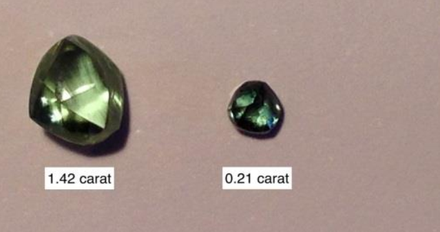 The largest green diamond recovered as seen below was 1.4 carats. Pure green diamonds are extremely rare and highly valued, ranging from light mint green to vivid grass greens. Only a handful of natural green diamonds are introduced into the market each year, making them some of the most sought-after of all natural coloured diamonds. Green diamonds are predominantly found in regions of Africa and South America. Consequently, for MED to have discovered green diamonds at its Merlin Mine is not only significant in terms of the standalone value of the stones, but also the profile of the mine as its potential to yield green diamonds (and blue) is taken into account in terms of asset valuation. 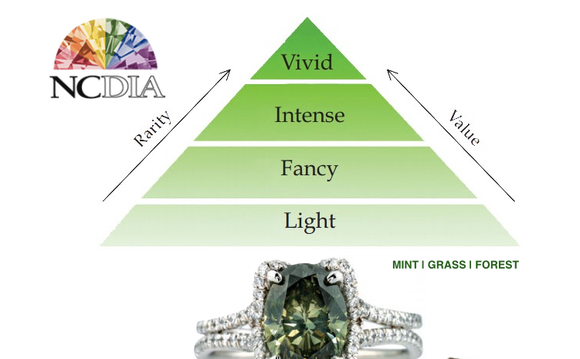 Strength of colour is an important price determinant, and MED’s reference to an ‘intense green’ colour is particularly encouraging as this places it near the top of the value chain in terms of overall green diamonds. The recovery of these green diamonds came on the back of the previous discovery of a rare blue diamond in December 2016, demonstrating the mine’s potential for producing valuable coloured diamonds. Harking back to our comments regarding grade, MED is well ahead of Rio Tinto’s Argyle operations in terms of gem quality. Bird said that the mine boasts an impressive historical production of between 65% and 75% gem-quality compared to Rio Tinto’s Argyle diamond mine gem quality of just 5% and the global average of circa 20%. 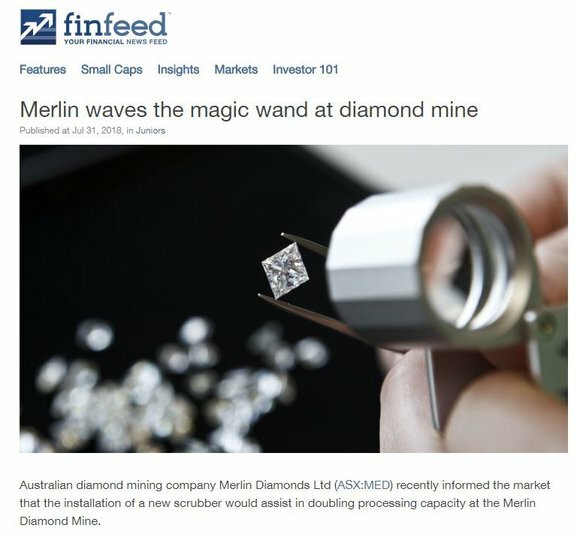 He also noted that Merlin Mine is famous for its past production of large, high-quality diamonds, producing the largest diamond ever discovered in Australia at 104 carats as well as other large gems ranging in size from 28 carats, to 43 carats. Merlin Mine continues to produce quality gems with an 18.75 carat flawless cognac diamond produced in the March quarter. There are very few mines in the world that have the proportion of high-quality, large diamonds like Merlin’s. 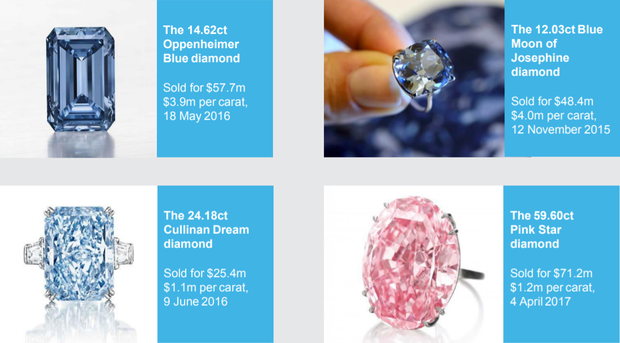 MED continues to uncover precious gems, in mid-July informing the market that it had 32 pink diamonds totalling 6.639 carats. The discovery of these pink diamonds at Merlin is seen as a good indicator that more significant discoveries will be made as mining in the five pits — Excalibur, Gwain, Ywain, Ector and Kaye — commences. Merlin sold a 13.27 carat high quality white diamond in Antwerp in late August 2017, achieving a price of A$14,492 per carat for total revenue of $192,613. The company has streamlined its diamond selling process with the opening of a sales office in Antwerp, where more than 80% of the world’s diamonds are sold. It is impossible to predict an ‘exceptional diamond’ is going to be uncovered and/or the period in which revenue from that gem will be recognised, as this can hinge around auction times and the limited number of buyers who can afford diamonds of this quality. Petra Diamonds’ 2017 result provides a good example of the difficulties this can pose. While the company grew revenues by 11%, it missed guidance. 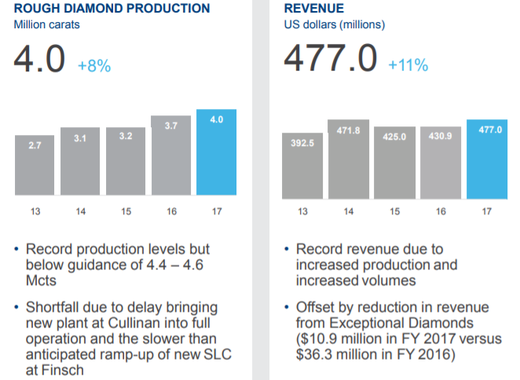 As can be seen below, one of the key reasons for the revenue miss was a sharp drop in revenues compared to the previous year in relation to exceptional diamonds which fell from $36.3 million in 2016 to $10.9 million in 2017. 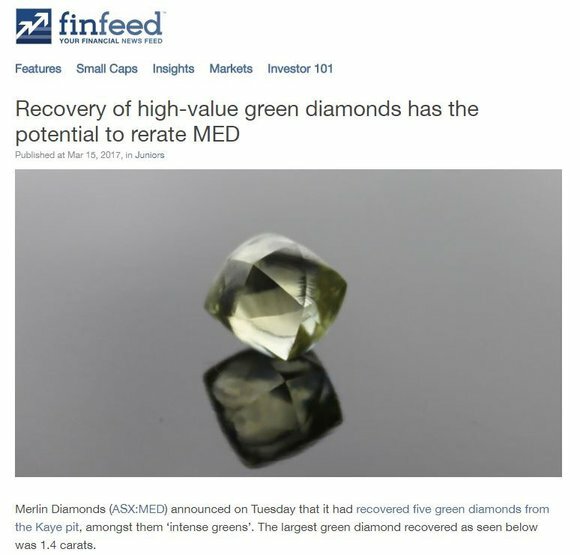 However, a key factor to bear in mind in relation to MED is its planned upgrade which will substantially increase production volumes, providing the company with the optimum ability to grow its diamond inventory, and perhaps deliver some more of the stunning gems which have fetched high prices in the past. Although what it can deliver is speculative at this stage and investors should seek professional financial advice for further information if considering this stock for their portfolio. The installation of a new scrubber will assist in doubling processing capacity from 50 tonnes per hour to 100 tonnes per hour while reducing the recirculation of oversize material, providing MED with the ability to feed damp ore directly from the pit. A Dense Medium Separation (DMS) circuit has also been ordered from South Africa, and once installed, capacity expected to increase to more than 150 tonnes per hour. As we mentioned, MED appears to be a stock that is flying under the radar, and even operational improvements such as a doubling in processing capacity arguably would have drawn more attention if it was a precious or base metals company. But the market’s miss means MED’s merits could be capitalised on by retail investors who have seen diamonds in the rough turn into ten-baggers.